Masks are objects that cover the face for variety of reasons. They are used for protection, disguise, entertainment or ritual practices and are made from various materials, depending of use. Earliest use of masks was for rituals and ceremonies, and the oldest found mask is from 7000 BC. Art of making masks could be older but because of the materials used for making them (leather and wood), they did not survive to this day. 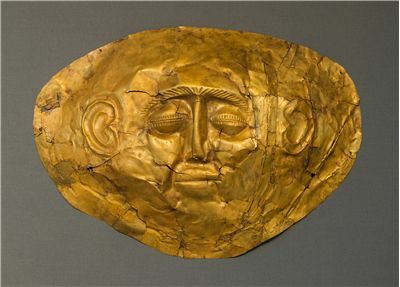 Oldest masks were of ritual purpose and could be found in many places of the world. They are generally similar in their overall appearance, but very different in style and way they are made and used. 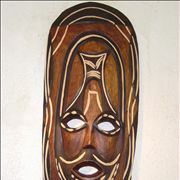 In Africa, ritual masks are used in many different ways. In West Africa, they are used in ceremonies which purpose is to communicate with ancestral spirits. They are made out of wood, with great skill and such masks are used in ritual masquerades of Edo, Yoruba and Igbo cultures. 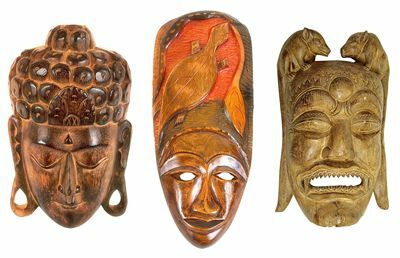 Beside human faces, many African masks are made in the shapes of the animals. It is believed in some African tribes that they make possible to communicate with animals spirits of savannas and forests. One of the more common masks is an antelope. It is believed that an antelope have thought people agriculture or that it symbolizes a farmer. 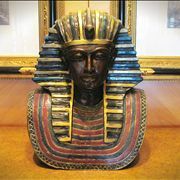 Some tribes make mask as symbols of different attributes. Mask with closed eyes symbolize tranquility while bulging forehead symbolizes wisdom. War masks are made to scare the enemy with big eyes, painted colors and anger of the carved face. History of masks began some 9000 years ago. From that moment masks were made and used in thousands of different ways and became inseparable from our lives. Find out more about mask history. There are so many different masks as there are cultures. And even more. Many different influences affected how masks are made and used. You can read some interesting facts about masks here. 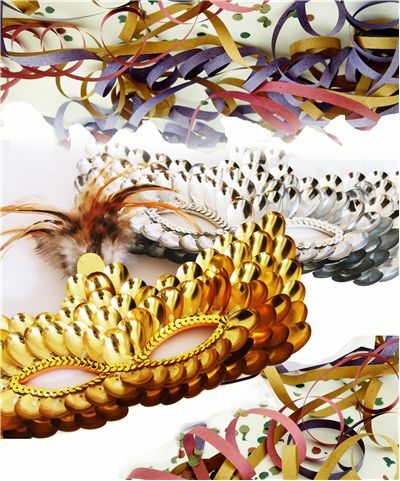 There are many popular masks around the world that can be categorized by different criteria. Masks can be used in rituals, ceremonies, hunting, feasts, wars, performances, theatres, fashion, sports, movies, as well as in medical, protective or occupational purposes. 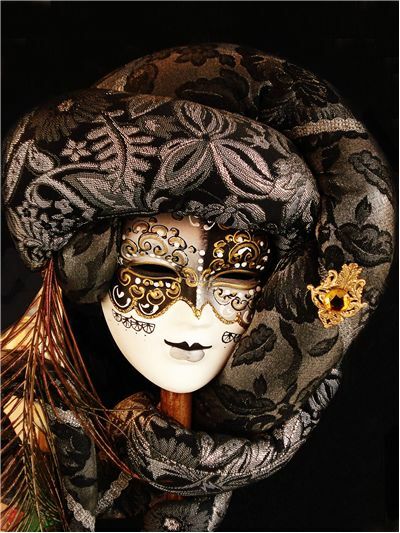 Masks can also be used as ornamentation. 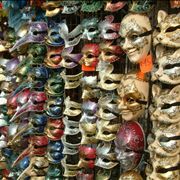 There are many masks around the world, find out more about them. Inuit tribes of Northern America vary widely so their masks differ form each other in many ways. Pacific Northwest coastal groups have very skilled woodworkers that make complex masks made from wood, leather, bones and feathers, with movable parts and of great beauty. They are used in shamanic rituals that represent unity between men, their ancestors and animals that men hunt. They are also used in exorcising of evil spirits from the sick. In Oceania, where the culture of the ancestral worship is very strong, masks are made to represent ancestors. 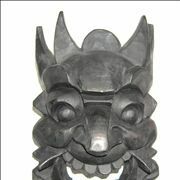 Big masks, some six meter-high are used as a protection from evil spirits. Ancient Aztecs, in Latin America, used masks to cover the faces of the dead. They made them from leather in the beginning, but later started making them from copper and gold. 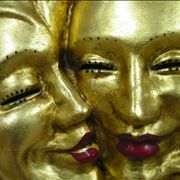 Except for ritual purposes, from the ancient times masks were used in theatre. 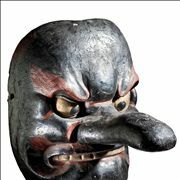 Oldest theatre masks are from Ancient Greece and masks used in traditional Japanese Noh drama. 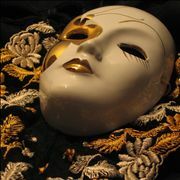 In time, masks are used in medieval theatre in mystery and miracle plays, during Renaissance as well as today. 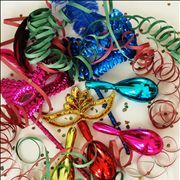 Masks are also used for protection - for example: welding masks that protect eyes and face of the welder form bright light and flying sparks; gas mask that protects from dangerous gases; shield masks on helmets, from gladiators to modern police. There are also medical masks for oxygen supply, surgical masks that protect doctors and patients from infecting each other as well as many more.